Global Game Jam is On and How to Get a Free Copy of Bob! Do you remember when I first wrote about Global Game Jam and I told you all to go to your local event? Well Global Game Jam is on and I think it is a great way to learn more about game development or get in touch with fellow developers from all around the world. Friday Is Last Day Of Steam 25% Sale! Just wanted to let you know that tomorrow is the last day on our 25% off sale on Steam. So if you want to make a bargain, don’t hesitate! If you are still uncertain if Bob is the way to go, check out this review on Rock Paper Shotgun. Having trouble finding that pesky last part on Level 5? Bob Came in Pieces – On STEAM this Friday! 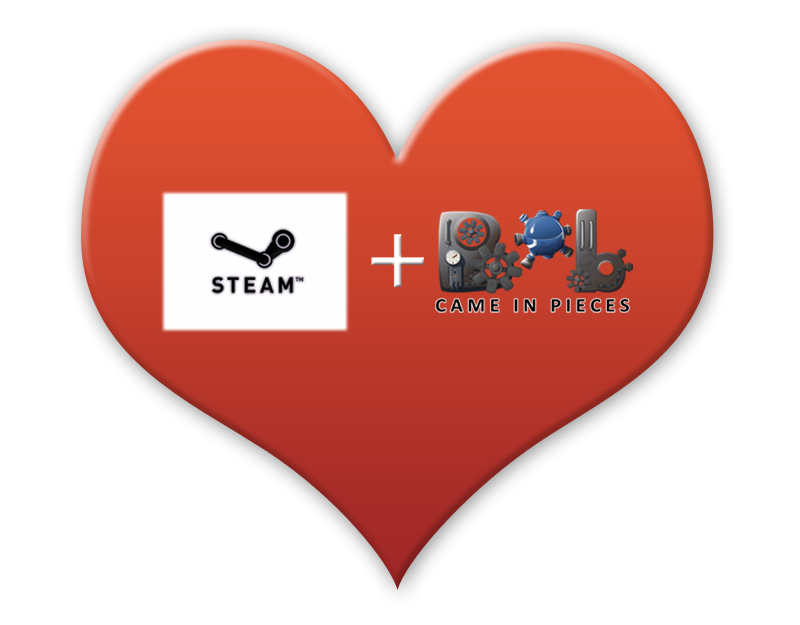 Bob Came in Pieces will arrive on Steam! The Steam version will support Steam Cloud, Achievements and Leaderboards! So you think you can beat the devs? We’ll see you on the Leaderboards! Also this will be celebrated with 25% off the first week on Steam and also the other major portals such as Gamer’s Gate, Direct2Drive, Impulse. This will be a great weekend! The release date is January 22 across all channels including our own site. There will also be a free demo, so check it out! It has been a crazy ride, and the game has become so much better from day to day the last month it’s unbelievable. We are all very much looking forward to this re-launch, and we think it’s gonna be a good one! Proabaly most of you have heard about Global Game Jam. For you guys who havn’t: It is a festival 29-31 of January (I think it is always the last weekend in January) where the main goal is to create a game within a specifc theme in 48 hours. Of course it is a big challenge and the scope of the game is very important if you want to be able to finish it. Also, dont forget to join our growing facebook site and follow us on twitter! I hope you have all had a great New Years Eve and Holiday. The release of Bob Came in Pieces went fine and we are going to release a patch soon (January)! The patch fixes a lot of stuff and tweaks. They are far too many to be listed here.